Do we need to dominate our dogs? I will offer free advice when possible, but it can sometimes take a while before I get back to you, due to a heavy work load. So I add new articles to the site as often as possible, in the hope that one of the articles will have the answer to your question. You can find the articles via the link at the top of all pages of this site. Below you'll find links to articles on other web sites on subjects that could be off interest to you. Wondering about the vaccines that your dog has to have? The RSPCA has some information on their web site and if you scroll to the bottom of the page, there is a pdf document about vaccines for dogs. Click here for their article. Breed standards - good or bad? Emma the Vet has written an article about breed standards, one of her pet hates (and I couldn't agree with her more!). Click here to read it. Second hand smoke is dangerous for your pet! We know that second hand smoke is harmful to humans, but it also affects your pets. Because our pets are so much smaller than us, they will get hurt a lot sooner than an adult human. Read about the dangers with second hand smoke. Did you know that aggression is as strong a hereditary gene as HD (hip dysplasia), so pretty strong, but that fear is the highest hereditary gene of them all?! So make sure you meet both parents when you get your next puppy and check that they are neither aggressive or nervous. Toxic substances WARNING! - Grapes and Raisins are toxic for dogs! "Subject: Raisin toxicity (Permisson has been given to cross-post from Borzoi-News) This week I had the first case in history of raisin toxicity ever seen at MedVet. My patient was a 56 pound, 5 yr old male neutered lab mix who ate half a cannister of raisins sometime between 7:30 AM and 4 :30 PM on Tuesday. He started with vomiting, diarrhea and shaking about 1 AM on Wednesday but the owner didn't call my emergency service until 7 AM. I had heard somewhere about raisins AND grapes causing acute renal failure but hadn't seen any formal paper on the subject. We had her bring the dog in immediately. In the meantime, I called the ER service at MedVet, and the doctor there was like me - had heard something about it, but.... Anyway, we contacted the ASPCA National Animal Poison Control Center and they said to give I V fluids at 1 1/2 times maintenance and watch the kidney values for the next 48-72 hours. The dog's BUN (blood urea nitrogen level) was already at 32 (normal less than 27) and creatinine over 5 (1.9 is the high end of normal). Both are monitors of kidney function in the bloodstream. We placed an I V catheter and started the fluids. Rechecked the renal values at 5 PM and the BUN was over 40 and creatinine over 7 with no urine production after a liter of fluids. At the point I felt the dog was in acute renal failure and sent him on to MedVet for a urinary catheter to monitor urine output overnight as well as overnight care. He started vomiting again overnight at MedVet and his renal values have continued to increase daily. He produced urine when given lasix as a diuretic. He was on 3 different anti-vomiting medications and they still couldn't control his vomiting. Today his urine output decreased again, his BUN was over 120, his creatinine was at 10, his phosphorus was very elevated and his blood pressure, which had been staying around 150, skyrocketed to 220. He continued to vomit and the owners elected to euthanise. This is a very sad case--great dog, great owners who had no idea raisins could be a toxin. Please alert everyone you know who has a dog of this very serious risk. Poison control said as few as 7 raisins could be toxic. Many people I know give their dogs grapes or raisins as treats. Any exposure should give rise to immediate concern. Feel free to contact me if you have any questions. Laurinda Morris, DVM Danville Veterinary Clinic Danville, Ohio"
Read the RSPCA's article about poisonous substances. For a web site listing poisonous plants, please go to www.dogpack.com. For web sites about the toxicity in onions, try www.jlhweb.net. One of my day dogs was put to sleep due to slug bait poisoning. She was a 2,5 year old Labrador in good health. I was devastated by the news and I can't imagine what her owner must have gone through. Slug bait poisoning can cause a really violent reaction in the dog, so please keep your dog safe by not using such substances in your own garden and watch over them when you are out walking them. Cat.org.uk has also put together an interesting article about slug pellets (even if it is difficult to read with the overpowering background! ). The most important advice I can give you is NOT to leave your dog on his own on Guy Fawlkes night or New Years Eve, even if it is just a for a couple of hours. If you HAVE TO go to that party, bring your dog with you or get someone your dog knows and likes to come and dog sit while you are away. Even if you think your dog can cope with the fireworks, you don't know that there won't be a big bang right outside your house that scares your dog and he/she won't have anywhere to flee and no one there for support. That just isn't fair. Don't rely on another dog to keep them company, worst case scenario you'll end up with 2 scared dogs instead of one! DON'T PUNISH... If your dog is scared of the fireworks, please don't punish him when he is trying to crawl up on your lap/sofa/bed. He's just trying to get as close to security as he can and you/your sofa/your bed are it! Feeding tablets to a dog isn't half as difficult as it is feeding them to a cat. Hide the tablet in something irresistable, for example liver pate (really hide the whole tablet in a big wedge of liver pate), butter (margarine just wont do), tuna pate, pressed into a cube of ham, chicken or cheese, rolled up in your breakfast bacon, etc. Don't restrain your dog or you'll make them suspicious and less likely to take the treat/tablet. If they refuse, you probably haven't hidden the tablet well enough. if your dog is very small or just refuses to take large treats (maybe he's old and hardly has any teeth left), divide the tablet into quarter pieces first and hide each piece individually. Feeding the next door neighbour cats, when they go on holiday, I know how easy it is for cats to get worms and how hard it is to give them worming tablets... So I came across this site with tips on how to feed tablets to cats and I found it very useful. It is a jungle of dog books out there. It is really difficult to know which ones are good ones and which ones you are better off leaving behind. We do some of the leg work for you, by sorting out the diamonds of the dog book world. 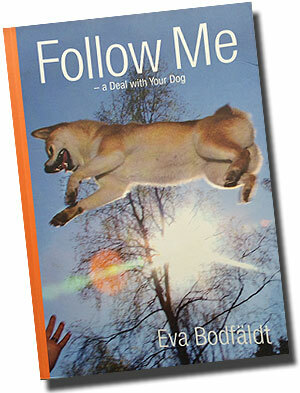 For recommendations and reviews on good dog books to read, please visit our book page.